A plaque erected by the the Naval Association of Australia commemorates members who served in World War One. 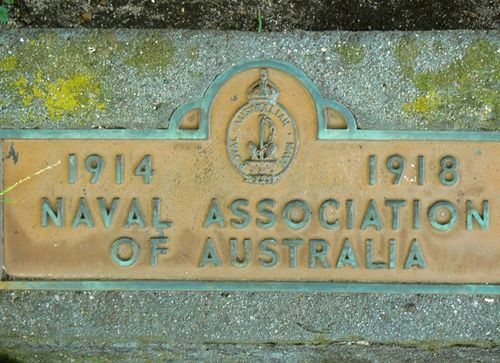 The Naval Association of Australia (NAA) was established in 1920. The NAA is the premier organisation, separate from Navy looking after the interests of both serving and ex-service members.